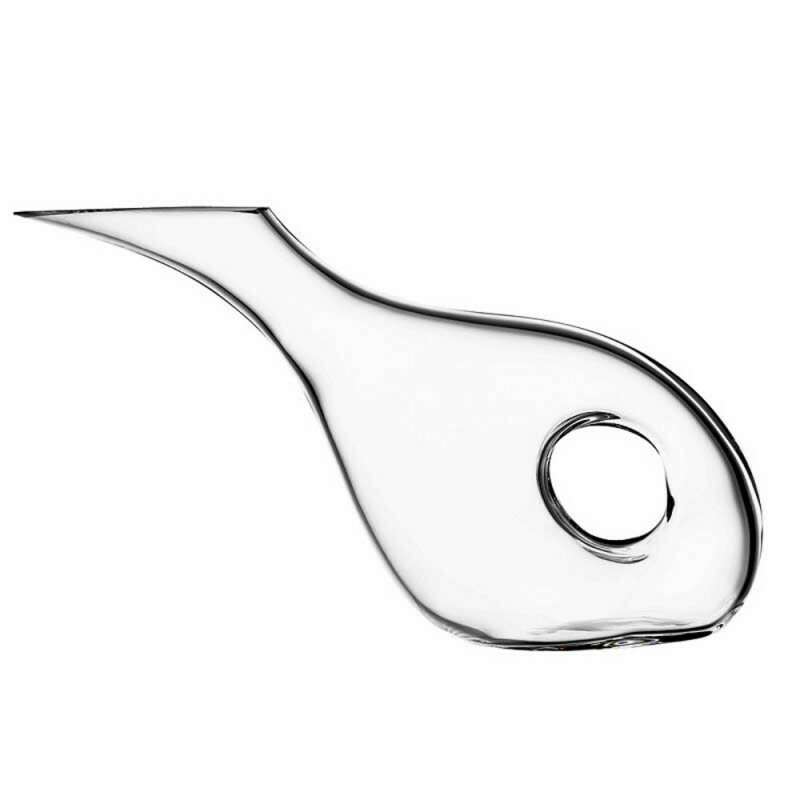 Pasabahce Duck Decanter (P/N 19339). 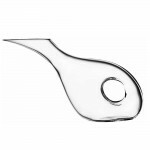 The glass is hand blown and heated up to its melting point, followed by a controlled cooling process to increase the durability of the crystal. 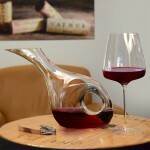 Decanting wine ensures older wine's clarity and brilliance, and allows younger wines to develop and bloom. 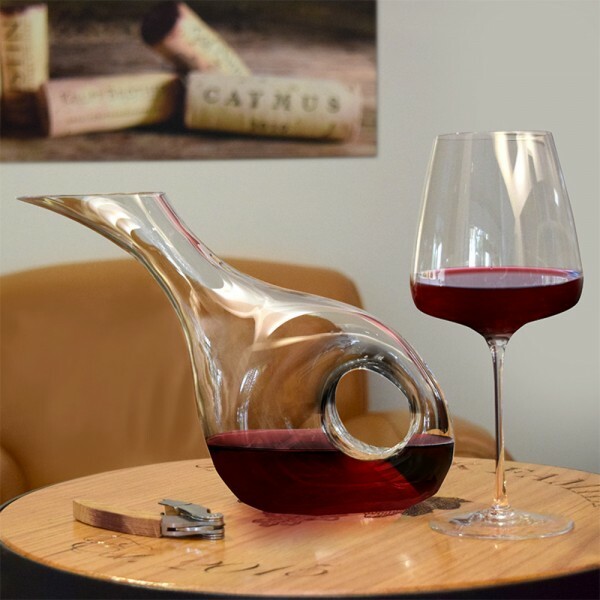 The beauty of this decanter is rivaled only by its functionality, with a uniqe modern shape, ergonomic design and beveled end for drip-free service.